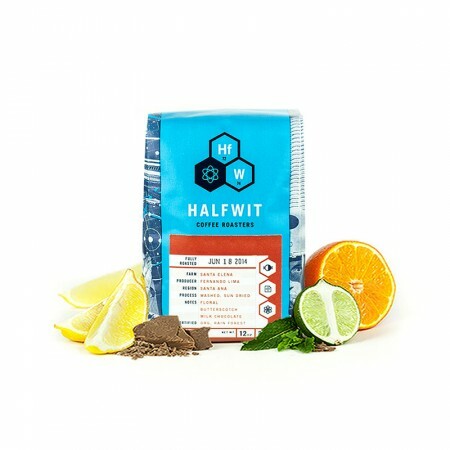 This is the Triforce Espresso Blend brought to you by Halfwit Coffee Roasters. This fully washed blend was sourced from the growing region of Acatenango, Guatemala and Yirgacheffe, Ethiopia. We love this coffee for it's notes of almond butter and butterscotch sweetness with an orange-like acidity. This espresso makes a wonderfully rich cappuccino as well as being delightfully balanced all on its own. Really great coffee. Can taste the fruity notes in the coffee. The only complaint I have is that this bag of whole beans was half the size of the normal bags I get. I was only able to brew pots, where as I can normally brew 6 to 7 pots of coffee per bag. I really enjoy this coffee and it does pair well with milk. I'm just upset that it was half of what I normally get. The powerful butterscotch sweetness is perfectly complemented by gentle citrus acidity. Awesome espresso. Coffee is good, but still a bit unpleasant bitterness on the back of my tongue. My wife and I have two different preparation styles. I prefer my espresso straight. She prefers it with vanilla syrup and frothed milk. This masks a lot of the bitterness that is apparent to me. My preference in the past has been red berries and/or pomegranate notes. I really like acidity. Perfect balance of citrus and chocolate. Makes me feel warm and fuzzy inside. Would love to try more from this roaster!